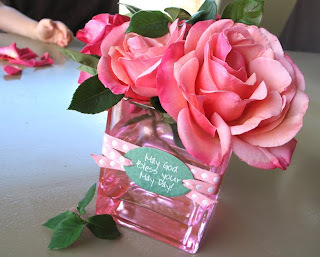 A simple touch like this would be lovely for Mother's Day, too! What a lovely idea! 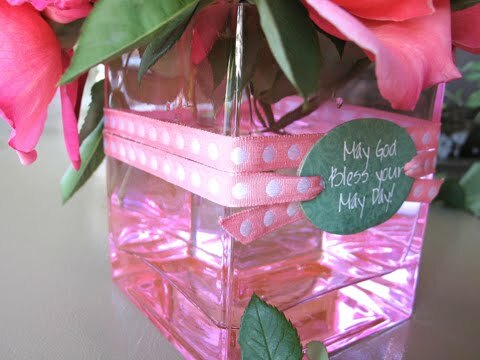 I just love that pink vase...beautiful! So beautiful and creative. Now I'm jealous. Thanks for swinging by and making my SITS day so spectacular. Your time and words mean the world to me. thanks for sharing this lovely idea with us, Jeanne! You are very creative and talented! These gorgeous backyard roses are just perfect for Mother's Day! They would surely be a wonderful bouquet of mothers day flowers! great post!